(August 22, 2018) As reporters, employees and curious passengers gathered in the Main Terminal SkyConnect atrium on Aug. 22, the buzz was fueled by the sight of fresh tulips, stroopwafels and bicycles near the stage where a big announcement was to be made. Finally, Executive Vice President of Marketing Chris Minner confirmed the big news: Delta Air Lines will launch year-round nonstop flights to Amsterdam from Tampa International Airport beginning May 23, adding a fifth European destination to TPA’s route map and providing an easy gateway to Delta’s vast network of worldwide connections. Amsterdam was one of the three European cities TPA targeted for international air service development in late 2016. Visit St. Pete/Clearwater President & CEO David Downing stressed the importance of creating a nonstop connection to such a key European destination. Amsterdam Schiphol Airport is among Europe’s busiest airports and one of Delta’s largest European hubs, connecting passengers to destinations across Europe, the Middle East, India, Africa and Asia via Delta’s partner airlines Air France, KLM, Alitalia and Jet Airways. In the past two years, TPA has added 44 new nonstop domestic and international routes. Since Lopano arrived at TPA in 2011, the Airport has seen a 126 percent increase in international passengers with the addition of nonstop service to Zurich, Panama City, Frankfurt, Reykjavik and other destinations. The international visitors have contributed to the Airport’s passenger growth, which is expected to surpass a record 21 million passengers in 2018. 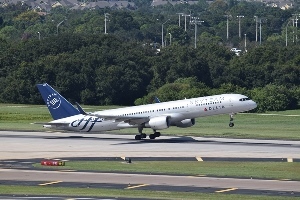 When the Amsterdam flights launch next spring, TPA will offer passengers access to European travel on all three major airline alliances, with Delta’s SkyTeam added to Lufthansa’s Star Alliance and British Airways’ Oneworld. The alliances benefit those with frequent flyer status or mileage rewards, as well as providing an easier process to reach more international destinations. To book a flight between Tampa and Amsterdam, visit www.delta.com.